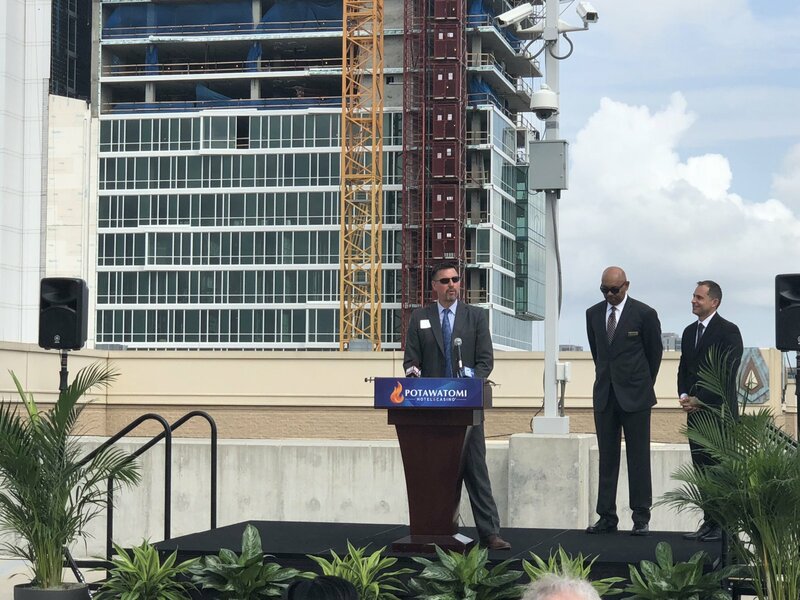 Speaking at the topping off ceremony for the second tower of the Potawatomi Hotel. Photo taken August 16th, 2018 by Jeramey Jannene. All Rights Reserved.